The staff and family were amazing and very helpful. Thank you Costas and Maria. My daughters stayed at Mantraki and they had a wonderful time there. Great location, authentic experience. The owners were so kind and attentive. 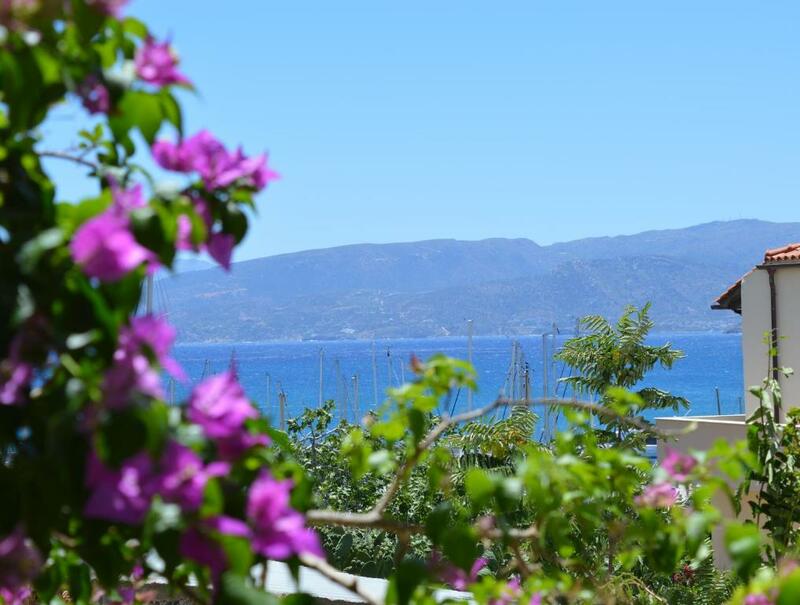 The girls went to other places in Greece, and Italy, but Mantraki Hotel and Agios Nikolaos was their absolute favorite experience. Thank you Costas and family for taking such great care of my daughters, and making their time in Agios Nikolaos so special! Also Julita was so helpful and thorough in pre-arranging transportation from the airport for the girls. The girls arrived at the airport very late and Julita arranged to have a driver with a sign to take them back to the hotel, and for less than the cost of a taxi. Very friendly and hearty personnel. We enjoyed the very centrally located room and the activities recommended by the staff. Simple but cozy greek-style decorated rooms. Owners are the nicest people we've met on all our trips. So friendly and helpful, like family. 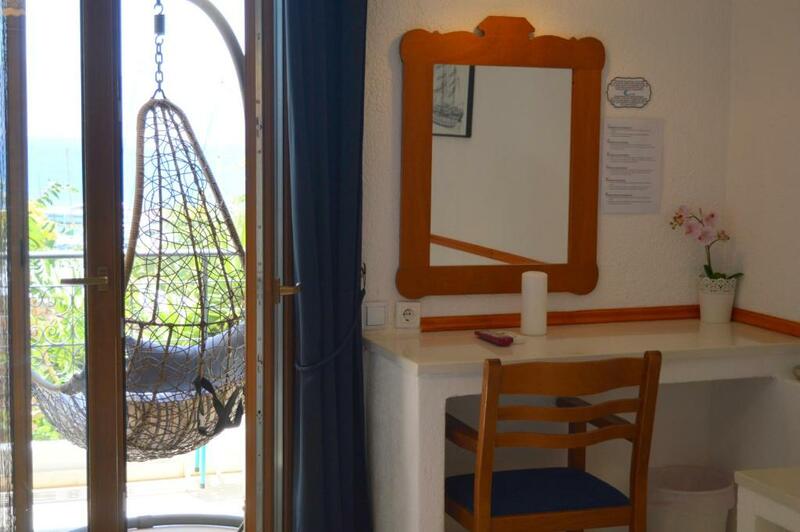 Great location 4 minute walk to beach, cute and comfortable apartments. Easy access to everything, right in town. Kostos and Maria the owners give great pointers on where to go to avoid the usual tourist destinations. Makes the stay all that much more lovely -- and authentic. We will go back again to this hotel next year ! I can't rate Mantraki Hotel Apartments more highly. Our hosts, Maria and Costas, were absolutely lovely and looked after us just like we were part of their family. They went out of their way to help us have a really great holiday. If you are thinking of staying with them, I suggest you contact them directly via their website, tell them what you are planning and you won't be disappointed. We would definitely go back. 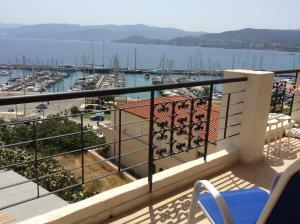 Great location, well equipped apartments, the owners are amazingly sweet and friendly. Our children liked the TV! The hospitality of the staff was extraordinary. It was a full apartment; was neat and clean; updated bathroom with hot water; air conditioning, quiet area, helpful cheerful owners, loved the ability to walk to restaurants, harbor, shops and public transportation. We were warmly welcomed with a Greek drink and biscuit and provided with local knowledge of the area. The owners of the hotel were just beautiful and couldn't be nicer or more helpful. The apartment had a wonderful shower. The kitchen was a little small but it was fine for making our breakfast. The best thing was the large verandah with the swinging chairs overlooking the sea and the yachts. 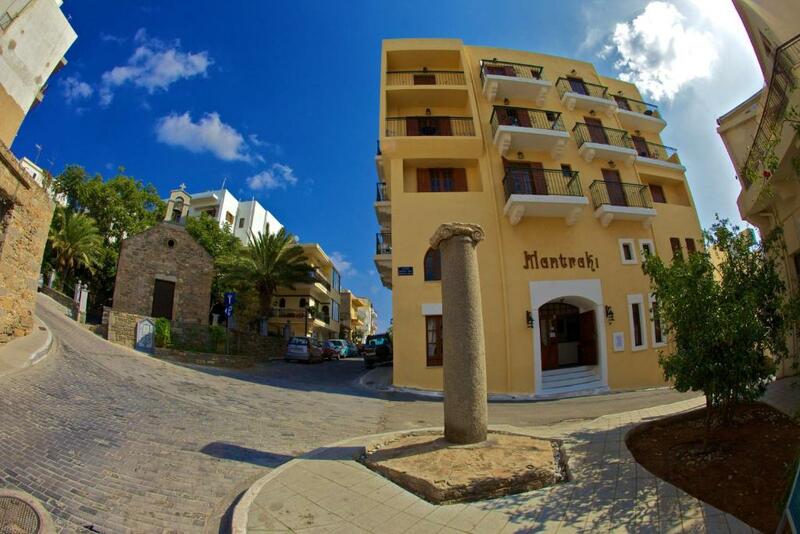 Lock in a great price for Mantraki Hotel Apartments – rated 9 by recent guests! 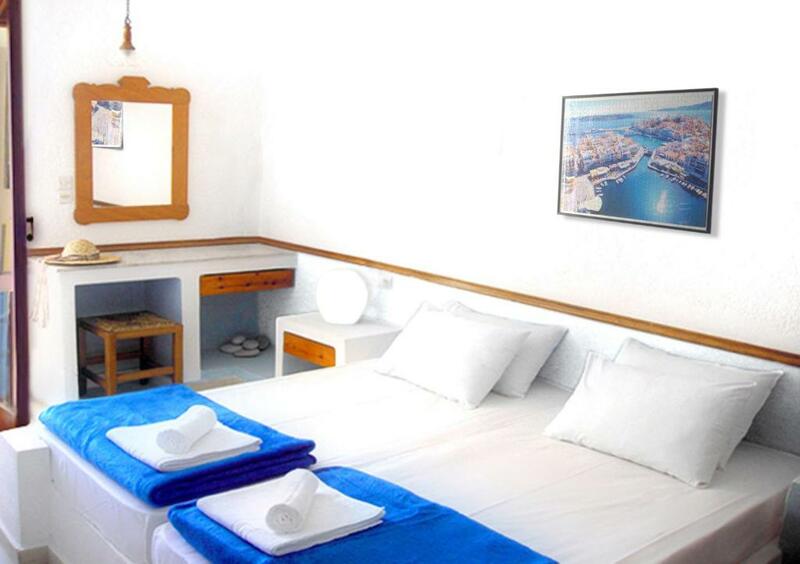 Mantraki Hotel Apartments This rating is a reflection of how the property compares to the industry standard when it comes to price, facilities and services available. It's based on a self-evaluation by the property. Use this rating to help choose your stay! Mantraki, a 3-star traditional family-run apartment complex, has a very convenient location, near Agios Nikolaos town center, supermarkets, restaurants, cafes, but also 350 feet from the public sandy beach. Free WiFi is provided throughout. Apartments at Mantraki open to a balcony and feature town or sea views, while some enjoy panoramic sea views. 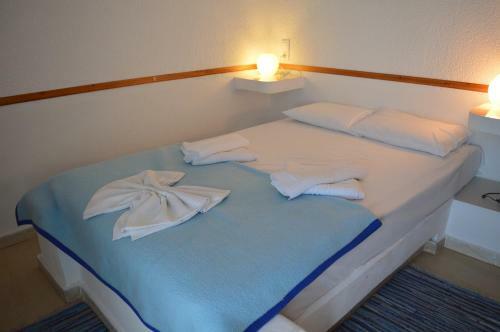 Each consists of a separate bedroom, fully equipped kitchen with big refrigerator and private bathroom with rain shower. Some rooms feature a smart TV. Air conditioning comes standard. Facilities include a bar for welcome drinks, big TV and table games. Heraklion Airport is 37 mi away. 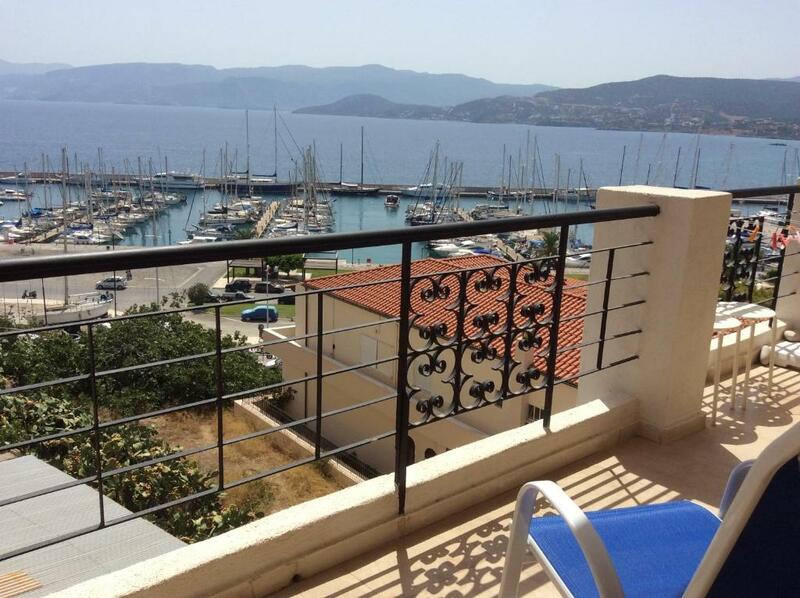 뀐 Located in the top-rated area in Agios Nikolaos, this property has an excellent location score of 9.5! When would you like to stay at Mantraki Hotel Apartments? Just 328 feet from the beach, this traditionally furnished apartment opens to a balcony with sea view. It comes with air conditioning, free WiFi, flat-screen TV, and a kitchenette. Just 328 feet from the beach, this traditionally furnished apartment opens to 2 or 3 private balconies. It comes with air conditioning, free WiFi, flat-screen TV, and a kitchenette. Please note that the main bedroom is fitted with either 2 singles or 1 double bed. 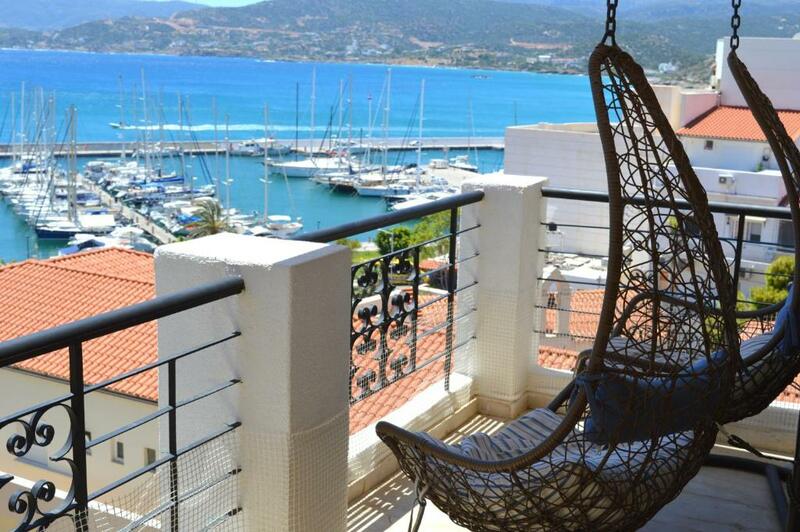 Boasting panoramic sea views, this air-conditioned apartment opens to a spacious balcony with hanging chairs. It also features a smart TV and safe. Free WiFi is provided. 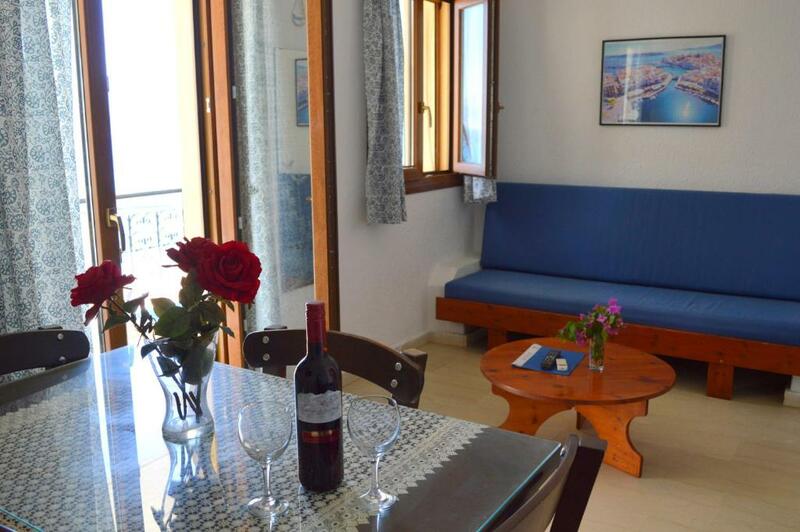 This traditionally furnished apartment features a spacious balcony with a sea view and a seating area. It comes with air conditioning, a kitchenette, free WiFi and flat-screen TV. House Rules Mantraki Hotel Apartments takes special requests – add in the next step! Mantraki Hotel Apartments accepts these cards and reserves the right to temporarily hold an amount prior to arrival. Guests are requested to inform the property of their estimated time of arrival. This can be noted in the Special Request box during booking or by contacting the property using the contact details found in the booking confirmation. In the case of late arrivals (after 9 pm,) guests should notify the property in advance, in order to arrange key pick-up. For stays of 7 days and more, there will be a Complimentary Welcome Drink upon arrival and a basket of fruit. Cleaning and change of linen for the cribs are provided at a daily charge. Please inform Mantraki Hotel Apartments of your expected arrival time in advance. You can use the Special Requests box when booking, or contact the property directly using the contact details in your confirmation. It smelt musty. It was damp. Beds were uncomfortable. Property is dated and in dire need of updating. No hot water. It was listed as a 2 bedroom apartment but was only 1 bedroom. Reception smelt disgusting. No idea how this place has got a 9 rating on booking.com. For the price we paid I don't think you could of expected anything more. Beds are very hard, bedding isn’t great (sheets are too short for some reason), our room was not super well cleaned when we checked in. They had nothing but good to say about everything at Mantraki! We had a superior apartment with a lovely view of the harbour. The hotel was only a short walk to restaurants, bars & shops. The staff were very helpful & friendly. Would stay there again & highly recommend it to friends. Everything was fine. Staff was nice and very helpful. Room is clean and comfortable, all needed facilites at the kitchen. Nearest beach is just in five minutes walk distance. The staff were really friendly and helpful with lots of tips of things to do and places to eat nearby. We were greeted with lots of enthusiasm by the family as well as a welcome drink after a long drive. The room was quite large with a couch and kitchen area. The hospitality from Kosta and Maria was excellent. They go above and beyond to make sure your stay with them is number one. The hotel has the best of both worlds. You have the city and the beach surrounding you. This was are 3rd time staying at Mantraki. We wouldn’t stay anywhere else. We are looking forward to our next trip back to Mantraki. Highly recommend Mantraki. We had a special treat when Kosta played his accordion and Maria sung a song. Incredible hosts. Great reception, caring thoghtful owners and staff. Homely atmosphere. Costas, Maria and Julita were amazing. Such lovely people who have a wealth of knowledge about the area. It’s a lovely traditional Hotel/Apartment, very clean and well stocked. It’s a great location everything is within a short walk. We would definitely recommend it.